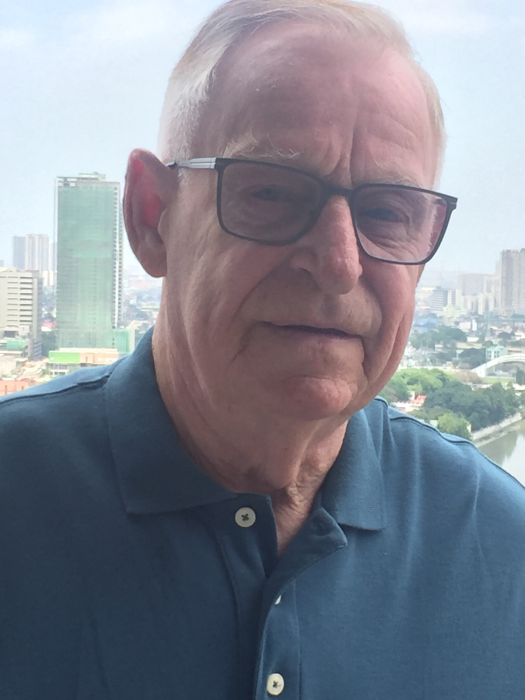 David Paul Moore, 76, died peacefully on February 10, 2019, at their home in Sacramento, CA, after just 95 days of liver cancer detection. His beloved wife Celia Moore, was with him to his end. He is survived by his family whom he loved so well: children Arvin & Diana, Brian & Sherica, April & Jon, Tracy and son Kenny; grand-children Jovin, Myc, Khandy, Xharinna & Arianna; siblings Richard, Bob & Donna & mother-in-law Eufemia. He was pre-deceased by his mom Kathleen Moore & younger brother John. David was an avid deer hunter & was happy to have spent his last deer hunting season October 2018, together with his wife. He was also much-applauded as a singer who loved country songs & Engelbert Humperdinck’s songs. David shall be missed by friends from both Sacramento & the Philippines. A Memorial Mass shall be held on March 9, 2019 at 6:00pm at St Paul Catholic Church in Florin Rd., Sacramento CA, presided by Rev Fr. Joyle Martinez, parish priest. A reception for celebration of Dave’s life shall immediately follow at China Ocean Restaurant in Florin Rd., Sac CA. Cremation was done February 18, 2019. The 9th Day Prayers for the Dead & Dinner was held at 5:00pm at their residence.